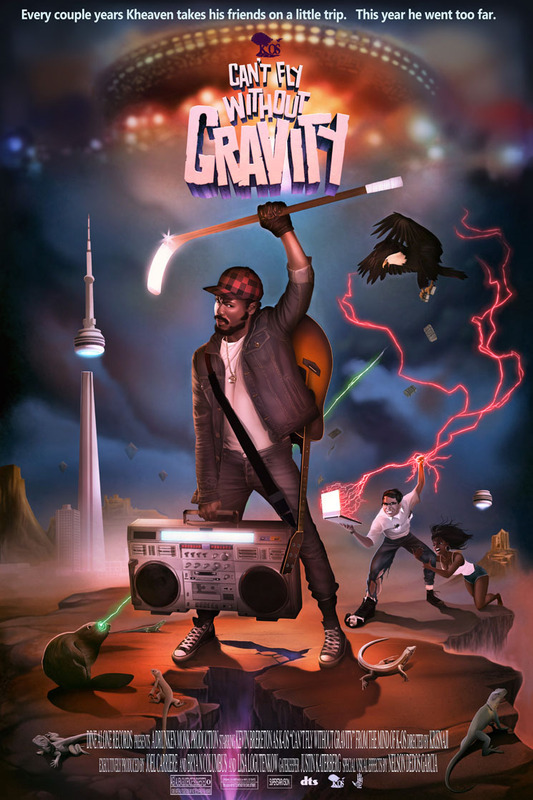 Fans of K-os's famed eclecticism will not be disappointed by Can't Fly Without Gravity, the Toronto hip-hopper's sixth studio album. This new effort has a greater breadth of styles than anything else in his adventurous catalogue. It all kicks off with "Snapback," a jazz-infused slow-burner akin to — and every bit as fun as — his 2002 hit "Heaven Only Knows." Can't Fly also boasts two riff-rife cuts, "Turn Me Loose," and "Steel Sharpens Steel," that rock harder than the entire guitar-centric half of his preceding double-album, BLack on BLonde. But Can't Fly's more experimental, out-there successes pale in comparison to its straightforward rap tracks, which find the Canadian MC in fine lyrical form. On midway cut "Crucify," K-os spits brilliantly cheeky rhymes like "My tongue's kung fu will punk you / You're done dude." Then there's the gritty, Wu-Tang-style posse cut "Boyz II Men," on which K-os more than holds his own against fellow True North rap titans Saukrates, Kardinal Offishall, Choclair, King Reign and Shad. And while those lean rap tracks are sure to satiate K-os's core fans, more casual listeners will be drawn to the soaring radio friendly ballad "Another Shot," which closes the album in a far more movingly catchy fashion than "Spaceship," the LP's other, blander stab at pop universalism.